We specialise in epoxy, acrylic, polyurethane and PTFE coatings for the aerospace and defence industries. With our more specialised coatings we can offer infra red reflectivity (IRR) for military purposes, dry film lubrication or even high levels of corrosion protection coupled with resistance to temperatures in excess of 700o C.
Should very high quality lacquered finishes on polished brass or stainless steel be required, we can provide them. Modern high performance products require high performance protection frequently from specially formulated products with specific performance attributes and painting is no exception. The aircraft industry for example requires paints which will resist fire, heat, wear, corrosion, as well as attack from fuels and hydraulic fluids as well as abrasion and impact from everyday use. Ashton & Moore’s expertise in this field allows us to offer paint for almost any application whether a specific system is specified, as would be the case for aircraft or defence equipment, or whether we are offering solutions to companies who require a given performance but need advice on a system to attain that performance. Currently Ashton and Moore offer Epoxy, acrylic, polyurethane systems along with dry film lubricants such as PTFE and molybdenum disulphide, Intumescent paint for fire resistance, Infra red reflective paints for weaponry, high temperature/high corrosion resistant paint for severe applications and even paints which, in some applications, can be used as a replacement for cadmium plating . Exacting engineering requirements require that specific areas of components should not be coated. As with our other divisions, our painting division carries masking operatives experienced in a variety of masking media to ensure these requirements are met. 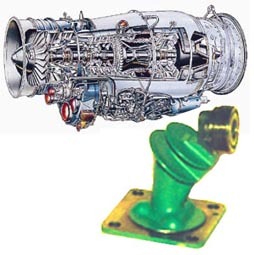 Jet engines, marine and power generation turbines, off shore oil installations, aircraft landing gear, are all examples of components operating in hostile environments and it is now recognised by many designers, users and specifiers that the application of high performance coatings can significantly improve the performance and life of these components. Ipcote/MCAC is a range of sacrificial aluminium ceramic coatings with high resistance to oxidation, salt and chemical corrosion as well as having exceptional tolerance to high temperatures and abrasion. Originally formulated to protect components at the “Hot end” of aircraft and marine turbine engines such as compressors/rotor blades and fuel injectors, these coatings have been found to be equally effective in other applications such as exhaust systems, heat exchangers and even landing gear. The corrosion resistance of these coatings has been found to be so good that they are now being specified by users as acceptable alternatives to cadmium plating for many applications and this has led to the development of several other products in the same range such as “Thincote” to allow thinner more controllable coatings and “Sealcote” which when applied on top of an Ipcote base will improve performance even further. Although the standard Ipcote range is water based and therefore environmentally friendly it does contain small amounts of Chrome, currently there is a solvent based chrome free version available, but Ashton & Moore are in partnership with the manufacturers of the Ipcote range, Indestructible Paints Ltd, to develop a water based chrome free version. 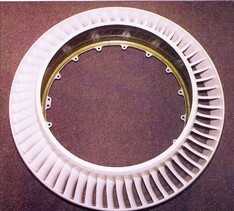 Modern engineering applications require demanding performance characteristics, one of these is anti frictional coatings for components that for various reasons may not be lubricated by the more traditional oils and greases and in these circumstances materials such as PTFE, Graphite and molybdenum disulphide can be used. Ashton & Moore with it’s wide experience of applying high performance paints are highly qualified to work with these materials and can offer a wide range of materials depending on whether simple lubrication or more complex load bearing anti frictional characteristics are required. Please contact us for further information on this specialised subject.